Click on image to see if full-size. What do folks like James Franco, Tim Blake Nelson, Brendan Gleeson, Zoe Kazan, Tom Waits, Stephen Root, Tyne Daly, Bill Heck, Grainger Hines, Ralph Ineson, Harry Melling, Jonjo O’Neill, Chelcie Ross, Saul Rubinek, Clancy Brown, Jefferson Mays, and Willie Watson all have in common? 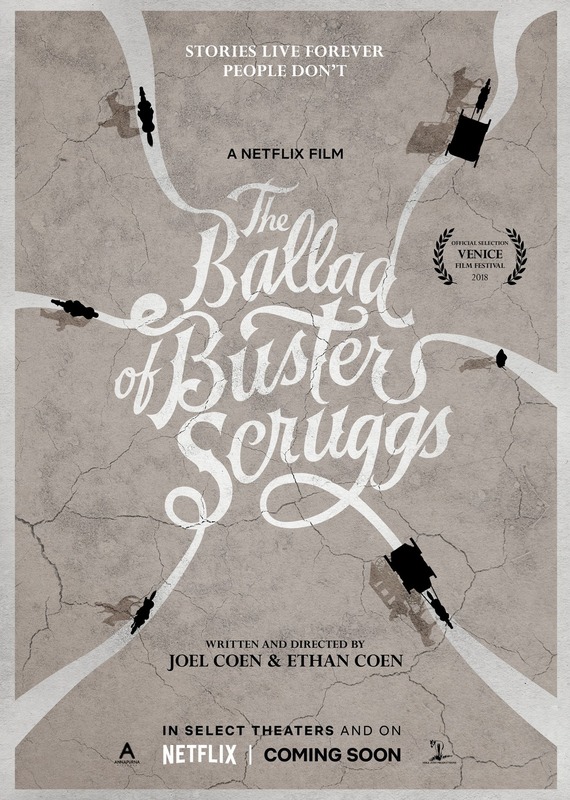 They’re part of the amazing cast in THE BALLAD OF BUSTER SCRUGGS, the latest film from the brilliant minds of Joel and Ethan Coen. This Western isn’t the first time The Coen Brothers have taken on the genre (remember their remake of TRUE GRIT? ), but it is definitely a more quirky and perhaps comedic take than their previous similar effort. It’s also being called an anthology, said to contain six different stories set in the old west. It’s hard to tell by the trailer below if James Franco or Tim Blake Nelson will get more screen time, but thanks to the film festival circuit, we’ve already heard a few reviews of the project. Some are calling it a bit disjointed, though still exhibiting the beloved Coen Brothers charm, and it’s said to be pretty dark as well… if you’ve seen any of their early films, we’re thinking this could be a return to form for the directing duo. It’s also interesting to see the Oscar darlings debuting a movie simultaneously in theaters and on Netflix, which may indicate the world of motions pictures and streaming services may be coming much closer than some might be prepared for. Tell us your thoughts in the comments below.